Decision: The United States should help Venezuelans take their country back by themselves. But it should not start another war of choice. Instead, the U.S. should provide arms, equipment, training, intelligence, and logistical support to worthy Venezuelans to organize their own insurgent force and fight for their country. Reason: The Administration is actively seeking ways to solve the Venezuela crisis and the President has ruled nothing out. In his September 25 speech to the United Nations General Assembly, President Donald Trump encouraged nations to exercise their sovereignty while seeking support “for the restoration of democracy in Venezuela.” He later made more pointed comments. US Ambassador to the UN Nikki Haley has publicly encouraged the Venezuelan democratic opposition. “Restoration of democracy” talk is the unfortunate rhetoric of armchair strategists who cook up American-led military invasions to change a regime and occupy the country. The US must not become involved in more wars of choice. Yet, the Bolivarian regime in Venezuela, kept in power by Cuban security personnel, is an international threat. The Venezuelan people themselves can solve the problem, provided the United States and others can help them to mutual benefit. 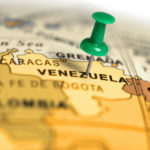 Background: Venezuela’s socialist “Bolivarian” regime presents a range of threats to the United States and the region. For the years prior to its near-collapse, the regime was the source of deliberate and planned regional subversion and destabilization. Chavez’s chosen successor, Nicholas Maduro, continues to sustain with his country’s declining oil exports the dying communist tyranny in Cuba that, in turn, secures and otherwise props him up. Maduro’s narco-regime also hosts jihadists and their terrorist groups, like Hezbollah. It has ominous relations with Communist China, Iran, and Russia. Its economic and social collapse has created humanitarian and refugee crises that threaten the hemisphere. The Organization of American States (OAS) is a hemispheric body intended to resolve such problems. Its socialist leader, Luis Almagro, has strongly criticized the Venezuela regime, but has thus far offered no affirmative solutions, apart from denunciations and sanctions. 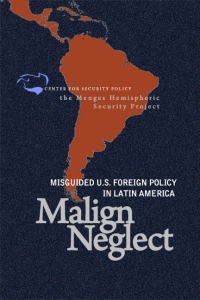 The Obama administration neglected the OAS while Almagro curtailed and dismantled the organization’s hemispheric security architectures and programs. While Almagro makes little effort to hide his hostility toward the United States, he has, nonetheless, bought favor with the Trump administration and many in Congress by harshly denouncing the Venezuelan regime. Some of Venezuela’s neighbors may be willing to allow a Venezuelan resistance army to use their territory as safe haven for bases and logistics. Precedent: The United States has a successful precedent for arming people oppressed by a regime that surrendered national sovereignty to Cuba and other powers. That precedent was President Reagan’s support for the Nicaraguan resistance that fought the Soviet-sponsored Sandinista regime in the 1980s. Opposition to his arming of the Nicaraguan resistance or “Contras” was driven by Soviet active measures campaigns and Sandinista supporters in the US. The Contras nonetheless succeeded in their goal to force the Sandinista regime to allow free and fair elections, and the Nicaraguan people voted for the candidate whom the Contras had supported. The problem was poor follow-through on the U.S. side: The Bush ’41 administration abandoned the Contras as the Sandinistas assassinated them after the elections. It then allowed the Sandinistas to rule from below and through the security apparatus with impunity. Those strategic policy failures from the American side allowed the Sandinistas to remain a problem ever since. Indeed, their leader, Daniel Ortega was returned to power in 2007 and has been running the country into the ground ever since. Yet, there are successful ways to dismantle the remains of totalitarian regimes to prevent such a deplorable resurgence. 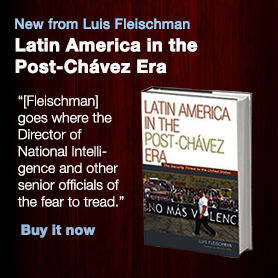 It promotes U.S. security interests while respecting Venezuela’s national sovereignty. It empowers the Venezuelan people to fight for their own country, rather than abandoning their homeland as refugees. It will help resolve Venezuela’s catastrophic refugee crisis that destabilizes the region. It reinforces new sanctions that alone are insufficient to solve the problem. It removes the undesirable option for the US to lead a conventional invasion force. It provides an alternative to the discredited “wars of choice” that plague American strategic thinking. It will be a strategic blow to Cuba, Iran, Russia, and Communist China in the region. Authorize the Department of Defense and CIA to help Venezuelan opposition figures rapidly to organize and raise an insurgent Venezuelan resistance army to liberate their country from the Cuban-backed Bolivarian regime. Mandate proper recruitment, vetting, training, equipping, and arming of a Venezuelan resistance army, and provide those forces with proper logistical and intelligence support. Seek and welcome all forms of support from friendly countries. Take appropriate measures against any government or group that opposes the effort. Narrowly limit any U.S. military action to special operations against Cuban, Iranian, Hezbollah, narcotraffickers, and regime targets, and to certain forms of defense of the Venezuelan resistance army.